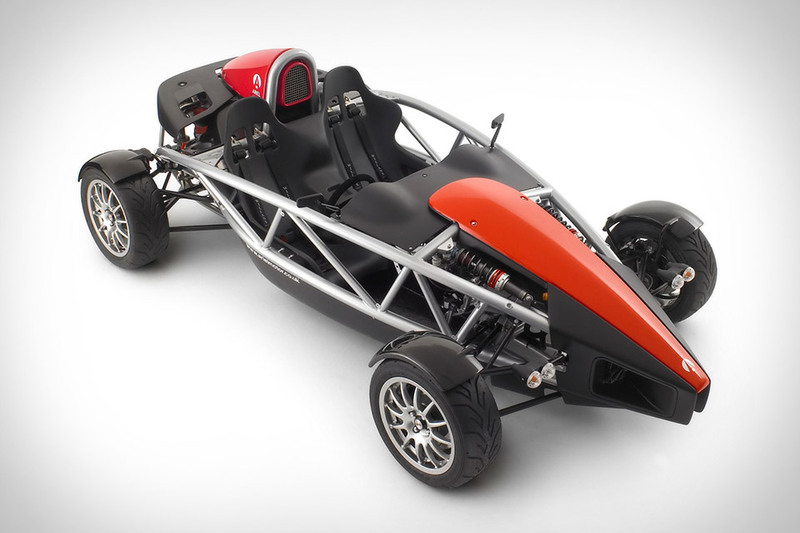 Be your own favorite race car driver in the Ariel Atom. Handcrafted and lacking doors, a roof, or windows, the Atom is truly a racing machine, with a curb weight of only 1,400 lbs. and up to 300 hp, pushing 0-60 times into the sub 3 second range and 0-100 times below 11 seconds. Other features include a powder coated steel tubing chassis, double unequal length wishbone suspension, a drive by wire 2.0L Honda K20 engine, and a 6-speed close-ratio synchromesh transmission. With no windshield or roof, "swing-wing" doors, and an aggressively styled carbon fiber body, the Mercedes-Benz McLaren SLR Stirling Moss (€750,000, ~$1,050,000) practically screams "speed." 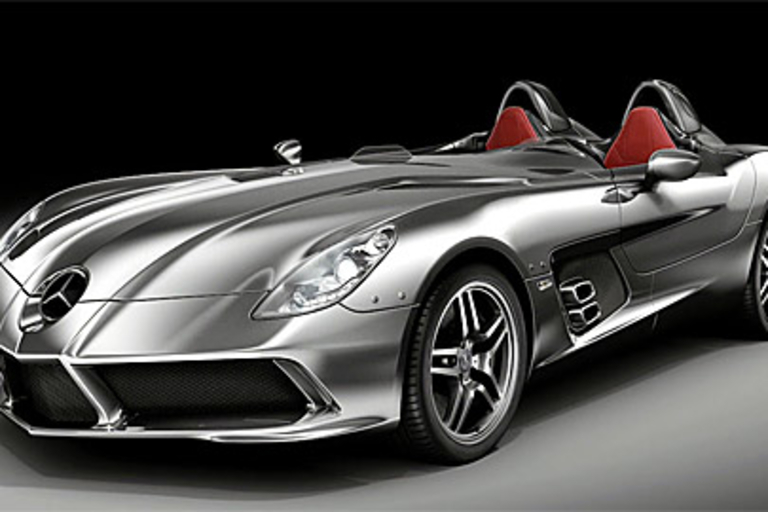 Powered by a 650 hp supercharged V8, this unique vehicle — limited to just 75 cars and named after the legendary driver Stirling Moss — can achieve a top speed of 217 mph, and features a five-speed automatic transmission and a retractable airbrake. Stunning. Will a thousand horsepower fit in a stocking? We sure hope so. The Zenvo ST1 ($TBA) is a new Danish supercar that grabs your attention and doesn't let go. Powered by a mid-mounted turbocharged and supercharged 7.0-liter V8 engine, the ST1 delivers an astonishing 1,104 horsepower — good enough for a 0-60 time of 3.2 seconds and a top speed of 233 mph. Only 15 are scheduled for production. With all of the problems in Detroit, if you've always wanted a muscle car, now's probably the time to act. 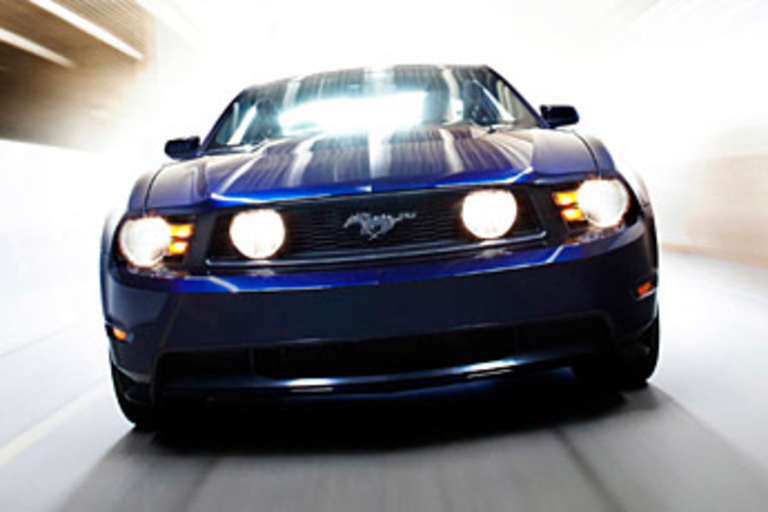 The just-unveiled 2010 Ford Mustang (starting at $21,845) mixes classic looks with modern design. Powered by either a V6 or 315-hp V8, the latest Mustang has a new, meaner exterior with a more aggressive grille, a powerdome hood, larger wheels, retuned suspension, the first new Mustang emblem since 1964, and headlamps inspired by the 1970 Mustang. Inside, the coupe has upgraded materials and new tech, including the latest version of Ford SYNC and customizable ambient and instrument lighting that lets you set the mood in any of 125 colors. To celebrate the winning of its 16th Formula 1 constructor's championship last week, Ferrari has unleashed the new Scuderia Spider 16M ($TBA). 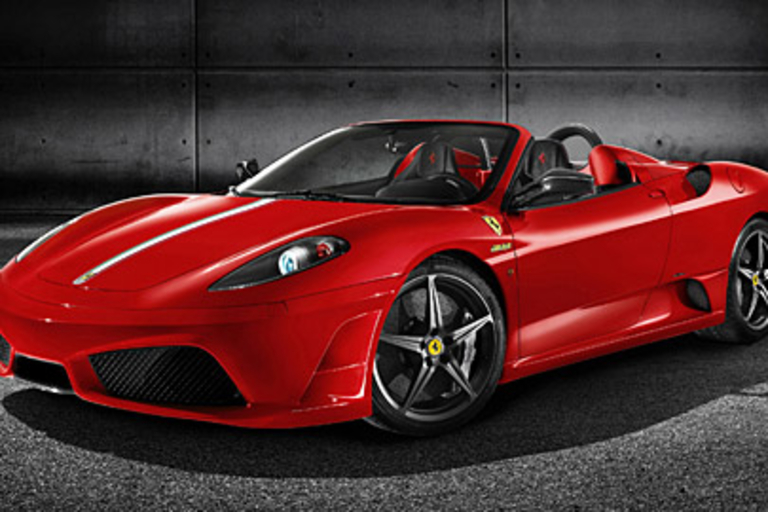 The fastest open-top Ferrari ever, the Scuderia Spider 16M has a 510 hp 4.3L V8 (0-60 in 3.7 seconds and a top speed of 195 mph) that's partnered with a smooth 6-speed F1 paddle shift gearbox. Inside, there's a roll-bar with a carbon-fiber outer shell and new audio system that integrates a custom Ferrari 16GB iPod Touch. 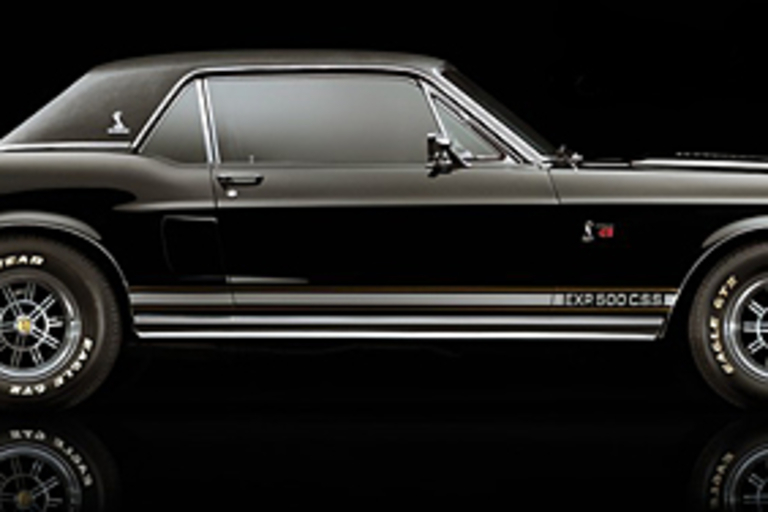 Created specifically for Carroll Shelby from a stock 1968 Mustang, the Shelby Black Hornet (starts at $100,000) is now being auctioned off to benefit the Carroll Shelby Children's Foundation. Identical to the Green Hornet Shelby GT500, this masterpiece offers a Cobra Jet 428 V8 engine producing 335 hp, Edelbrook aluminum heads, a top-loader 4-speed transmission, power steering, power brakes, Shelby 10-spoke wheels, and instant classic car cred. The Z is back. 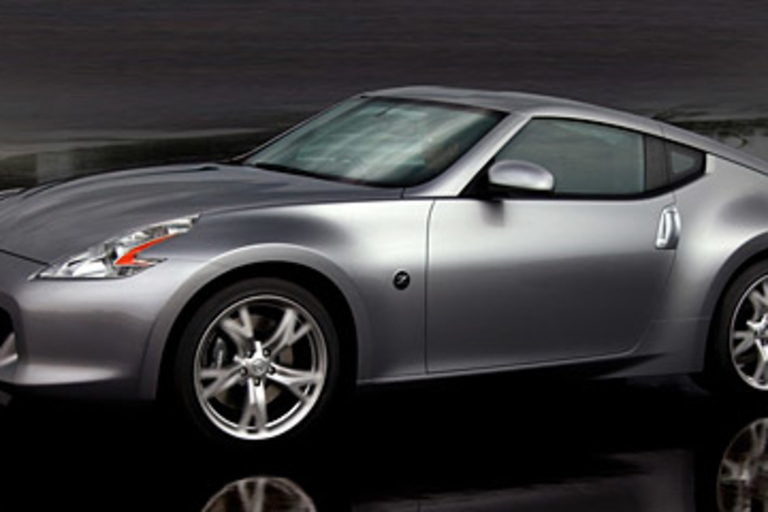 The new Nissan 370Z ($TBA) continues the Z-line's heritage of speed and agility with a newly-designed body, aggressive stance, and the new 3.7L V6 found in the Infiniti G37. We won't know the full story until the reveal at the upcoming LA Auto Show, but if what we've seen so far is any indication, it'll undoubtedly be making its way into a lot of Uncraters' driveways when it goes on sale next year.